Double Coin is a trusted and reputable brand backed by quality engneering and the highest levels of product manufacturing. The Double Coin range of tyres are a great way to ensure cost savings over premium brands without compromising on product quality. 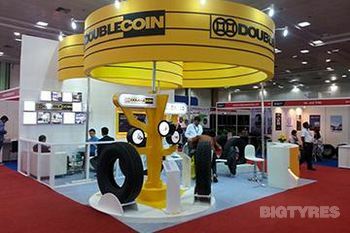 Double Coin tyres was founded in 1990 and offers both value and quality, concentrating on promising their customers the most for their money. Double Coin specialise in truck, bus and earthmover tyres and is a China Manufacturers Alliance (CMA) company. The CMA unites major tyre manufacturers in China under a unique and powerful cooperative alliance to serve both the American and European tyre marketplaces. The company sells its products to over 100 countries and regions and it also provides auxiliary products to over 30 domestic automobile manufacturers. 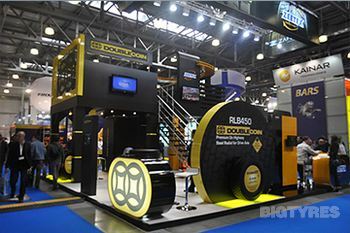 Double Coin product lines include Truck and Bus Radial tyres, Small, Large and Giant Radial Off The Road tyres, Radial Industrial, High-Speed Radial Mobile Crane and Radial Agriculture tyres. 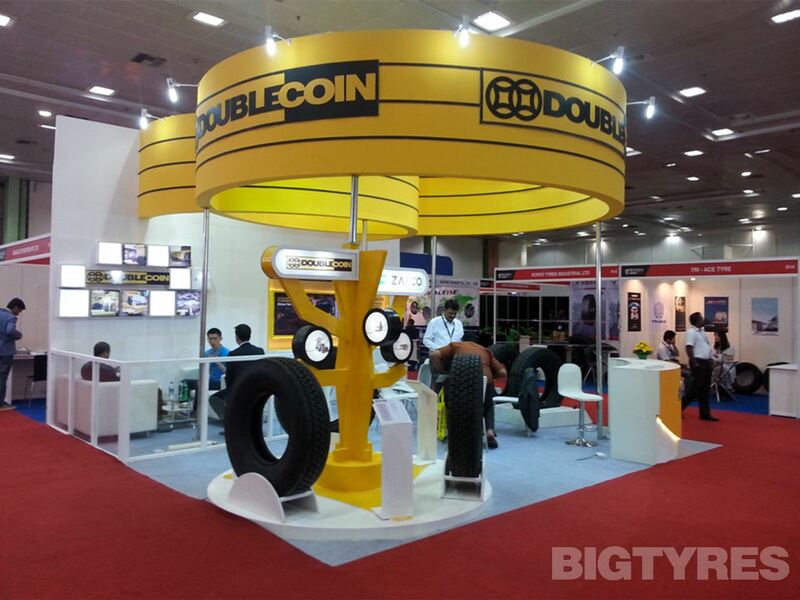 The Double Coin REM-1 tyre is an Off-The-Road tyre from Double Coin. It features a multi-purpose tread design for exceptional traction and even wear. The radial construction and wide footprint of Double Coin REM-1 tyre offers excellent flotation while also ensuring a smooth ride. Order Double Coins REM-1 Tyre online from Big Tyres today! The Double Coin REM-10 Off The Road Tyre is designed for the rugged needs of articulating trucks. The OEM Certified REM-10 OTR tyre features a multi-function, non-directional tread design for optimum performance. Built with a unique centre block tread design, the REM-10 OTR also provides superior off-the-road traction, and delivers a smooth ride in all types of terrain. The Double Coin REM-10 offers a multi-function, non-directional tread design for optimum usage on articulated equipment, superior OTR performance in multiple types of terrain, its unique centre block tread design provides additional traction, even wear and promotes retreadability and is OEM Certified. Order Double Coins REM-10 tyres online from Big Tyres today! The Double Coin REM-15 tyre has a multi-purpose tread design for exceptional traction and even wear. The radial construction and wide footprint of the REM-15 tyre offers excellent flotation while also ensuring a smooth ride. The Double Coin REM-19 is a radial OTR tire built for a wide variety of loader applications. Its special chip and cut resistant compounds promote an extended original tread life and promote long-term retreadability. Designed with a wide footprint and center rib for stability, this off-the-road tire features a non-directional tread design for additional traction in multiple applications. The Double Coin REM-2 Off-The-Road radial features an aggressive self-cleaning tread design for today's all-purpose applications. Designed to deliver a smooth ride and superior traction in all types of terrain, the REM-2 OTR has an enhanced casing design that promotes Retreadability. The REM-2 is also an OEM Certified OTR tyre. It offers an enhanced self-cleaning design for all purpose OTR applications, a multi-function, non-directional tread design for optimum usage on equipment, and has superior traction in sand, stone, mud and other surfaces. 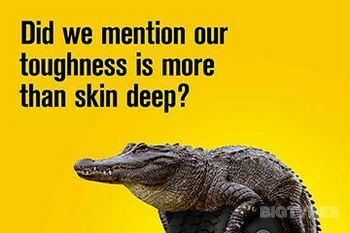 Order Double Coins REM-2 tyre online from Big Tyres today! The Double Coin REM-3 OTR features a special uni-directional tread design for maximum traction in Off-the-Road skid loader applications. Its radial design offers optimum performance and increased tyre life, as well as an enhanced ride and handling. Double Coins REM-3 Tyre offers a special uni-directional design for maximum traction in skid loader applications, has increased tread life with optimum compounds and has enhanced of-the-road handling & ride with radial design. Order Double Coins REM-3 Tyres online from Big Tyres today! The Double Coin REM-6 OTR's radial design promotes optimum performance, wear and stability. This industrial lug tire is engineered with special tread compounds to fight rapid wear and enhance traction in all OTR applications. Double Coins REM-8 is a high-speed mobile crane service Off-the-Road tyre designed for both on and off highway applications. Designed with a universal tread pattern for increased traction, the REM-8 OTR tyre helps minimize fuel consumption. It is also U.S. DOT approved for on-highway use and OEM Certified. The Double Coin REM-8 is a high speed mobile crane tyre designed for both on and off-the-road highway applications, it offers a universal tread pattern which increases traction while minimizing fuel consumption, DOT approved for on highway use and built strong for off-the-road and is OEM Certified. 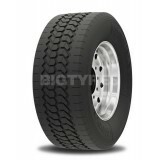 Order Double Coins REM-8 tyre online from Big Tyres today! The Double Coin REM-9 Radial OTR tire's radial design offers special compounds to withstand severe mining applications extend tire life and promote long-term retreadability. The REM-9 off-the-road tire is designed with a non-directional center rib tread pattern for enhanced off-the-road traction. 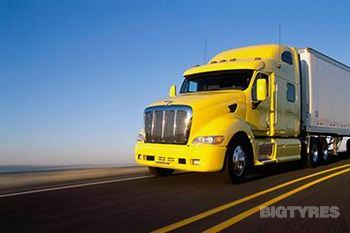 Its deep tread depth also provides extended tread life in a wide variety of conditions. Double Coin's RLB1 commercial truck tyre is an open shoulder drive-position tyre with a deep tread depth for long original mileage. The RLB1 features a unique tread design with biting edges for solid traction in rain, snow and mud. Double Coins RLB1 offers an open shoulder design that provides excellent traction in wet/dry conditions; deep 26/32" tread depth for long original mileage, full-depth siping provides excellent performance throughout the life of the tread, heavy duty casing for stability and promotion of retreading and tubeless and tube-type sizes for special applications. Order Double cCoins RLB1 tyres online from Big Tyres today! Double Coin's RLB200 commercial truck tyre is a heavy-duty on/off highway drive-position tyre with a deep tread depth for long original mileage and superior traction. The RLB200 tread pattern design is well suited for severe applications both on and off the highway. Double Coins RLB200 offers an aggressive directional tread pattern for improved traction and handling in wet/dry conditions, a deep tread depth for long original mileage and an extra wide tread for enhanced tread life and improved handling. Order Double Coins RLB200 online from Big Tyres today! Double Coin's RLB300 commercial truck tyre is an on highway drive-position tyre designed for long original mileage and superior traction. The RLB300 tread pattern design is well suited for most applications. Double Coins RLB300 offers a unique tread block pattern for improved traction and handling in wet/dry conditions, deep tread depth for long original mileage and an extra wide tread for enhanced tread life and improved handling. Order Double Coins RLB300 tyre online from Big Tyres today! The Double Coin RLB450 is a durable regional/long-haul drive-position tyre. Featuring an innovative open shoulder tread design, Double Coins RLB450 has outstanding traction in all weather and road conditions. 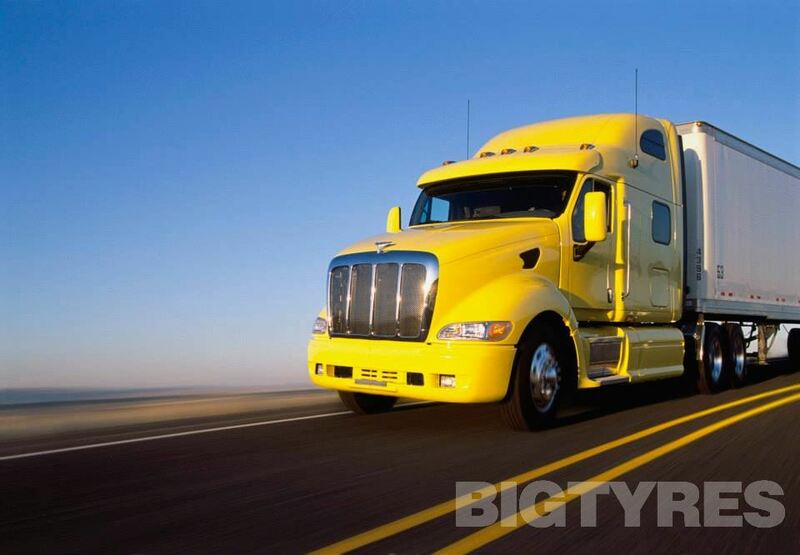 This long wear commercial truck tyre has a multi-extruded tread package which promotes cooler running, preserving casing integrity. Double Coins RLB450 offers an innovative open shoulder tread design that provides outstanding traction and promotes even wear, deep 26/32" original tread depth for excellent mileage in long and short haul applications and heavy-duty casing for strength, stability, and the promotion of retreading. Order Double coins RB450 online from Big Tyres today! 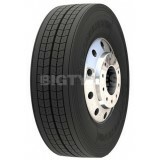 The Double Coin RLB490 is a premium low profile drive-position commercial truck tyre. 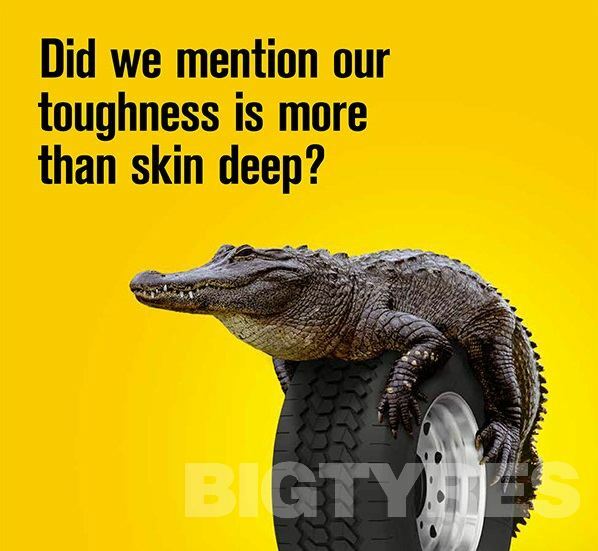 This multi-use low profile tyre features a unique tread design for outstanding traction and even wear. This durable tyre also features sidewall ribs designed to resist curb damage and abrasion. The Double Coin RLB490 offers an innovative tread design and compounds that promote excellent traction and resist irregular wear, deep original tread depth that provides maximum tread life and durable casing construction perfect for tough regional and urban use. Order Double Coins RLB490 online from Big Tyres today! The DOUBLE COIN RLB500 tyre is an All-Position 4-Rib Steel Radial Highway Service tyre, featuring four steel belts, full tread depth, an improved contour, giving durability, long life, and outstanding strength, durability and retreadability. 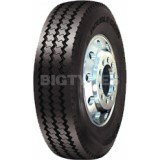 Buy your Double Coin RLB500 tyres online from Big Tyres today. The Double Coin RLB800 is a drive-position truck tyre built for severe service applications. This open shoulder, high traction commercial truck tyre has deep biting edges for superior gripping power in rain, mud and snow. Double Coins RLB800 offers a deep 29/32" tread depth for on and off road applications, its chip, cut and abrasion resistant compounds promote increase mileage and long service life and its aggressive tread offers excellent traction for severe off-highway use. Order Double Coins RLB800 online from Big Tyres today! 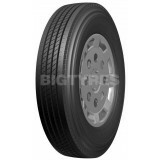 Double Coin's RLB 900 is a wide base all-position commercial truck tyre with deep tread designed for long original mileage and good floatation properties. The Double Coin RLB 900 is a premium high payload truck tyre is ideal for both on and off highway applications. Order Double Coins RLB 900 Tyres online from Big Tyres today! Double Coin's RR100 is a heavy-duty on and off highway drive-position tyre with a special tread design to reduce irregular wear. The Double Coin RR100's casing has been improved to offer more strength, durability and retreadability. The shoulder has been designed to minimize cracking and step wear. Order Double Coins RR100 Tyre online at Big Tyres today! The Double Coin RR200L is a highway service, all position commercial truck tyre that provides superior tread life. With a tread depth that promotes long original mileage, the Double Coin RR200L truck tyre also features a tread pattern that promotes solid traction and even wear. The RR200L offers a deep 20/32" original tread depth for optimum use in highway applications, an abrasion-resistant tread compound to enhance original tread life and a durable casing that promotes multiple retreads. Order your Double Coin RR200L Tyres online from Big Tyres today! The Double Coin RR202 is a heavy-duty highway service commercial truck tyre that is perfect for multiple applications including heavy loads and transport busses. The Double Coin RR202 5-rib tyre is built for superior handling and traction, and it also features protective sidewall ribs, which combat curb damage and abrasion. It offers a 10,000Lb load carrying capacity for heavy load applications, a modern multi-rib tread design that is excellent for free rolling applications and a durable casing that provides long original tread life and promotes multiple retreads. 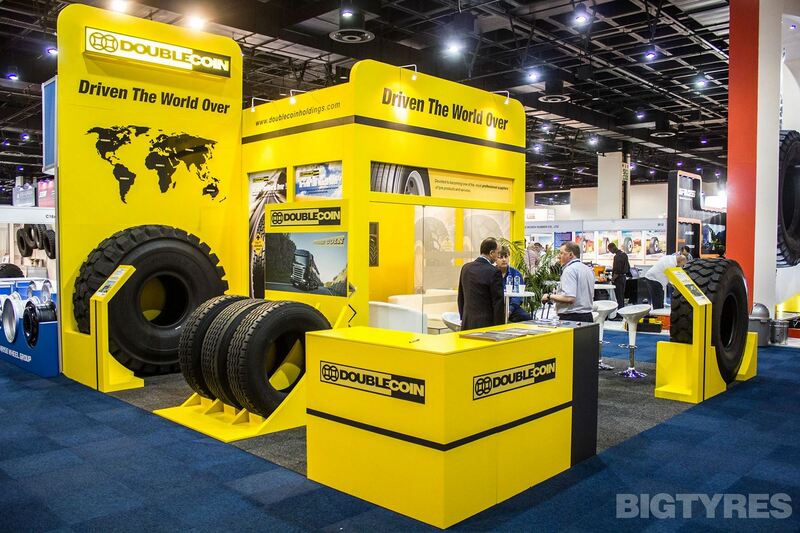 The Double Coin RR4 is an all-position truck tyre built for mixed service uses on and off the highway. 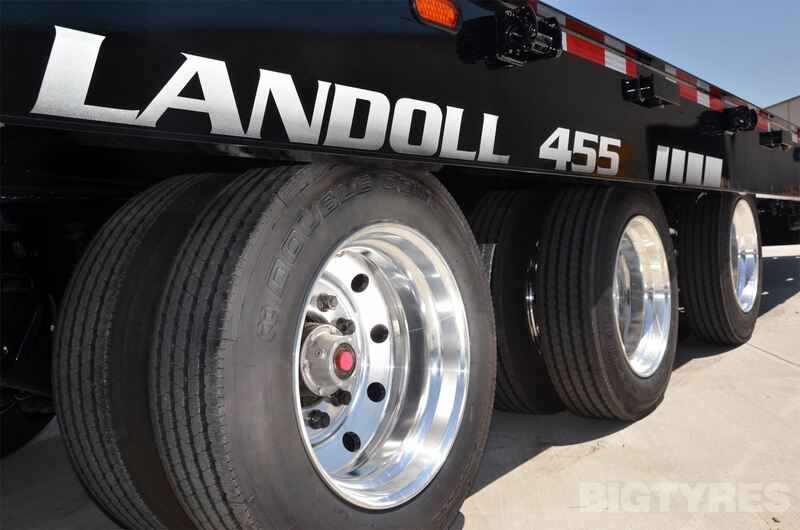 Engineered with large open grooves and aggressive shoulders, this commercial truck tyre provides superior performance in most on/off highway applications. The Double Coin RR4 offers a strong all-position tread pattern designed for multiple on/off highway uses and heavy duty casing construction for excellent performance in tough application. Order Double Coins RR4 tyre online from Big Tyres today! The all-position multi-purpose RR400 radial is designed by Double Coin to provide superior performance in all applications. The Double Coin RR400s deep 19/32" tread depth promotes long original tyre life and durable casing design assists in promoting multiple retreads. 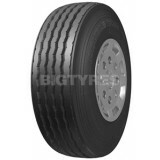 It offers a deep 19/32" original tread depth for long mileage, wide shoulders promote even wear and excellent traction and the durable casing of this truck tyre promotes multiple retreads. Order your Double Coin RR400 Tyres online from Big Tyres today! Double Coin's RR500 is a highway steering-position tyre with a deep tread depth for long mileage. The RR500 tread pattern design has been designed for optimal handling. 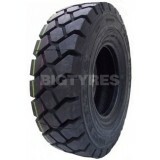 Order your Double Coin RR500 Tyres online from Big Tyres today! 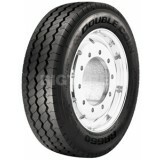 Double Coin's RR660 is a highway drive-position tire with deep tread for for high mileage and superior traction. 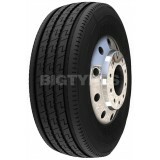 Order Double Coins RR660 tyres online from Big Tyres today! The Double Coin RR700 all-position commercial truck tyre features a solid shoulder design for even wear and long original mileage without compromising traction. 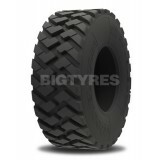 This 5-rib, 4-groove truck tyre provides superior handling and a smooth quiet ride. The Double coin RR700 offers a tread pattern/heavy ply rating designed for multiple uses, the 5-rib design is excellent for all axle positions and a durable casing that provides long original tread life and promotes multiple retreads. Order Double coins RR700 Tyres online from Big Tyres Today! The Double Coin RR99/RR9 series are all-position truck tyres built for mixed service uses on and off the highway. Engineered with large open grooves and special tread compounds, these commercial truck tyres provide superior performance in most on/off highway applications. The Double Coin RR9 Tyres offer a strong all-position tread pattern designed for multiple on/off highway uses, a cut, chip and tear resistant tread compounds and heavy duty casing construction for excellent performance in tough applications and can hold up to 10,000Lb load carrying capacity for heavy load applications. Order Double Coins RR9's online from Big Tyres today! The Double Coin RT500 is a low profile all-position multi-use tyre designed for a wide variety of applications. 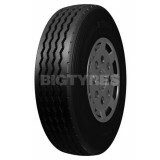 This 5-rib commercial truck tyre provides superior handling and traction in steer drive and trailer positions. Built to provide superior durability and strength, the Double Coin RT500 also features special tread compounds that promote long wear in high scrub applications. The Double Coin RT500's special truck tyre tread compound is designed to fight irregular wear and provide long life in trailer/all-position applications. 5-rib design promotes premium handling, stability and traction. The Double Coin RT500 steel belts provide casing strength for excellent durability, toughness and multiple retreads. 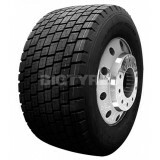 Call us or order the Double Coin RT500 tyre online today. 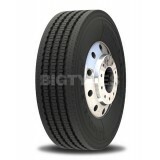 The Double Coin RT600 tyre is a premium low profile regional/all-position steer tyre. The Double Coin RT600 tyre is ideal for P&D and regional applications. The tyre is manufactured with protective sidewall ribs to help withstand curbing, cuts and abrasions, this all-position tyre features a 5-rib design that provides precise handling, lateral stability and superior traction. Buy your Double Coin RT600 tyres online from Big Tyres today. The Double Coin RT606 is a regional and all-position tyre built especially for urban and regional bus applications. Its 5-rib design promotes precise handling, lateral stability and superior traction. The RT606 is built to resist cuts and abrasions and perform well during the daily challenges an urban and regional tire faces. The RT910 is a wide base long haul trailer tyre with excellent label values, ensuring high first life mileage and good floatation properties. Order your Double Coin RT910 tyres online from Big Tyres today! The Double Coin TR100 is a shallow tread trailer position tyre designed for all types of trailer applications. Built to provide superior tread life, the TR100 commercial truck tyre features multiple siping and wide shoulders to prevent irregular wear that occurs in free rolling positions. Double Coins TR100 offers an optimum tread design that promotes even wear in free rolling/trailer axle positions, a premium 14/32" tread depth for long original mileage, and a centre rib stone platform ejectors preserve casing integrity, promoting multiple retreads. Order Double Coins TR100 online from Big Tyres today!